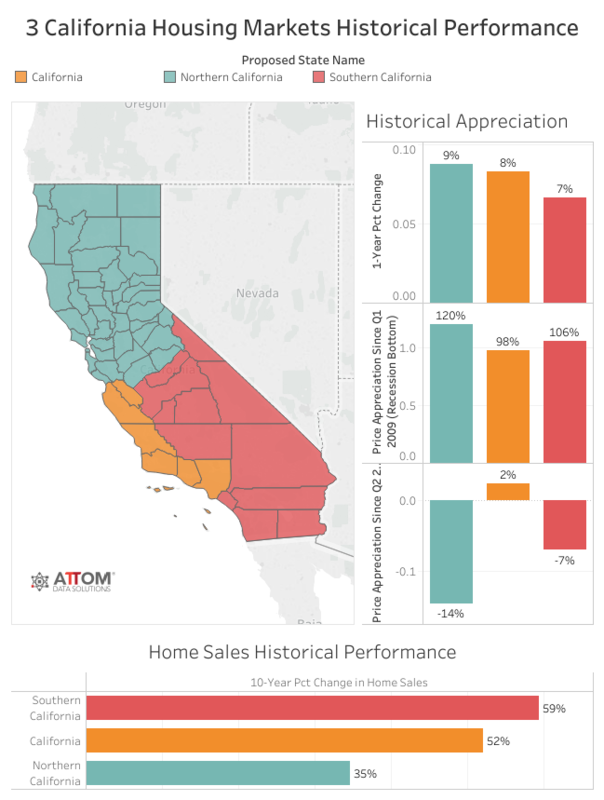 According to ATTOM Data Solutions recent analysis of what California's housing market would look like if the state is split into three new states per a proposal that has qualified for the state's November 2018 ballot, each new state's housing market would dramatically perform and be different from the others. 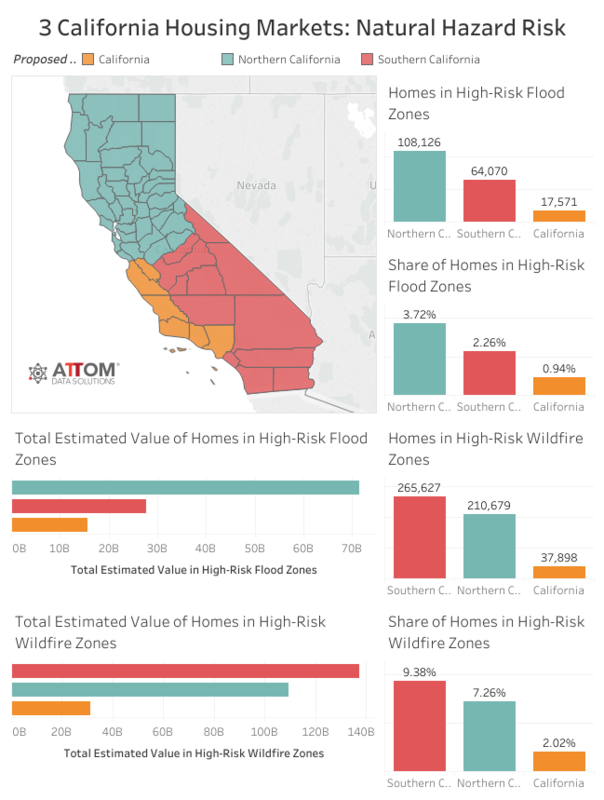 For their analysis, ATTOM looked at California home values, price appreciation, sales volume and property taxes along with flood risk and wildfire risk for nearly 7.5 million single family homes statewide, broken down by county into the three new proposed states -- Northern California (40 counties); Southern California (12 counties); and California (6 counties). 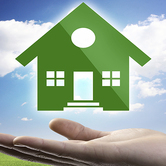 Counties comprising the proposed Northern California state took in 41 percent of the current California's property tax revenue on single family homes in 2017 while accounting for 38 percent of homes. 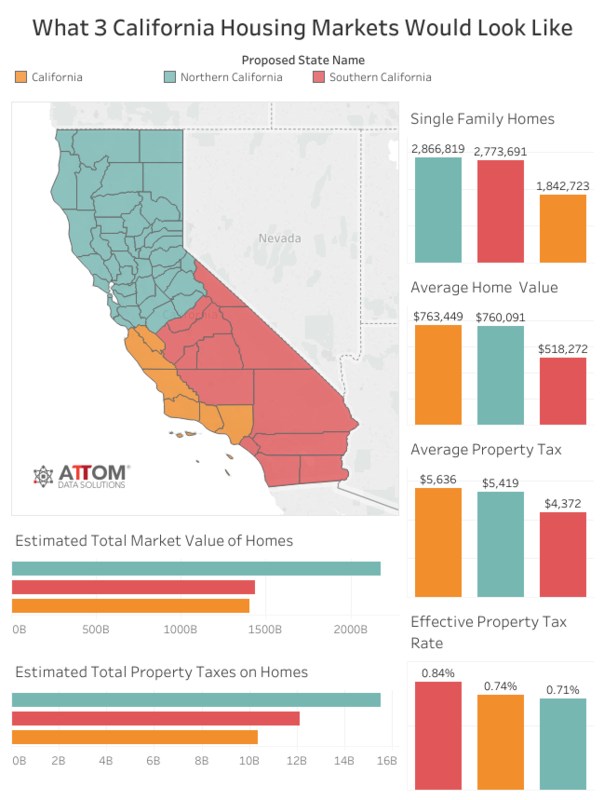 Counties comprising the proposed California state took in 27 percent of the current California's property tax revenue on single family homes in 2017 while accounting for 25 percent of the homes. 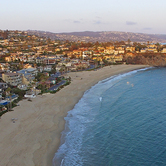 Conversely, counties comprising the proposed Southern California state account for 37 percent of the current California's single family homes but took in 32 percent of the total property tax revenue on those homes in 2017. 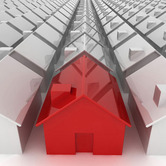 The proposed Northern California state is also outperforming when it comes to home price appreciation over the past year -- up 9 percent compared to 8 percent in the proposed California and 7 percent in the proposed Southern California -- and the last five years -- up 64 percent compared to 59 percent in the proposed California and 57 percent in the proposed Southern California. 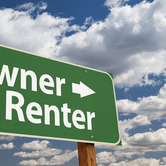 "The proposed state of Northern California definitely bears a disproportionate share of real estate related flood risk, which makes sense given the terrain and the waterways present there," said Clifford A. Lipscomb, vice chairman and co-managing director at Greenfield Advisors, a real estate research firm. "In contrast, the data show that the proposed state of Southern California bears the bulk of the risk when it comes to wildfires. The data suggest that Southern California has almost $30 billion more real estate exposure to wildfire risk than the proposed Northern California. 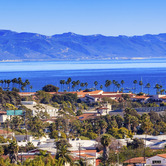 California is in a distant third place for both types of risk in terms of real estate."